The institutions of the German Social Accident Insurance (DGUV) deliver their initial and further training services to all sectors of industry. The school of applied sciences of the German Social Accident Insurance, with sites at Hennef and Bad Hersfeld, is the central training establishment of the DGUV for the statutory accident insurance institutions in the areas of rehabilitation, social legislation and public administration. Its qualification services are aimed in the first instance at employees responsible for supporting companies and insured individuals and within the general administrations of the accident insurance institutions. 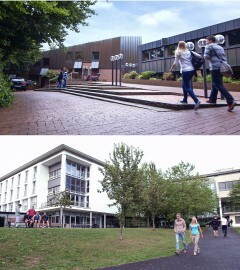 The university of applied sciences of the DGUV in Bad Hersfeld is a private university of applied sciences with state recognition. For new entrants to vocations at the statutory accident insurance institutions, it offers courses of study leading to a bachelor's or master's degree or to a certificate. At the Hennef site, the DGUV also conducts activities in the area of "social insurance" in close cooperation with the FH Bonn-Rhine-Sieg University of Applied Sciences. The courses of study in the subject encompass an externally funded course in social insurance, particularly accident insurance, leading to a bachelor's degree. The IAG in Dresden provides seminars, workshops and conferences on all topics in the area of prevention. The institute's qualification measures are intended for prevention experts at the accident insurance institutions, trainers and lecturers, skilled and management personnel, members of employee representative councils, occupational physicians and resident medical personnel, OSH professionals, and other disseminators in the area of occupational safety and health. 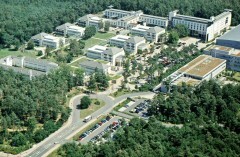 The Institute of Prevention and Occupational Medicine of the German Social Accident Insurance is an institute of the Ruhr University Bochum (IPA) and offers training events in the subject of occupational medicine and in the faculties of biochemistry and biology in the context of its academic medical tuition. 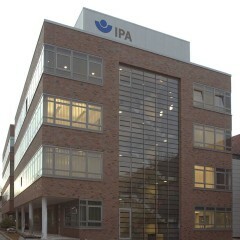 In addition, the IPA is an academy for the further training of physicians. Graduates are certified for the specialization of occupational medicine or for the supplementary specialization of works medicine. The IFA in Sankt Augustin conducts cross-sector training events, symposia, and workshops for a national and international audience in its areas of expertise, for example on noise, hazardous substances, biological agents, machine guarding and vibration. Its courses and seminars are intended in the first instance for employees of the statutory accident insurance institutions.